If now is the right time for you to purchase the vehicle of your dreams and you want to find quality car dealerships in Indiana, then you dont need to look any further than Acra Auto. Here at our dealership in indiana, you will discover many beautiful brands of new and used vehicles such as Chrysler, Jeep, Dodge, and Ram, among many other makes and models of used and certified pre-owned cars and trucks. Do you have a dream car? One that you have wanted to own but the time was never right for you to buy? If now is the best time for you, then come by your local Dodge dealer in indiana, Acra Auto, and take a look at the Challenger that we have for sale. If you want to stand out in a crowd or on the road, we have a beautiful Dodge Challenger coupe waiting here for you. When you stop by our used car dealers indiana, Acra Auto, you will be greeted by our friendly and knowledgable sales staff who are here to help you find the car you want. With their expertise and your preferences, you can work together so that you see the best car and deal for you. 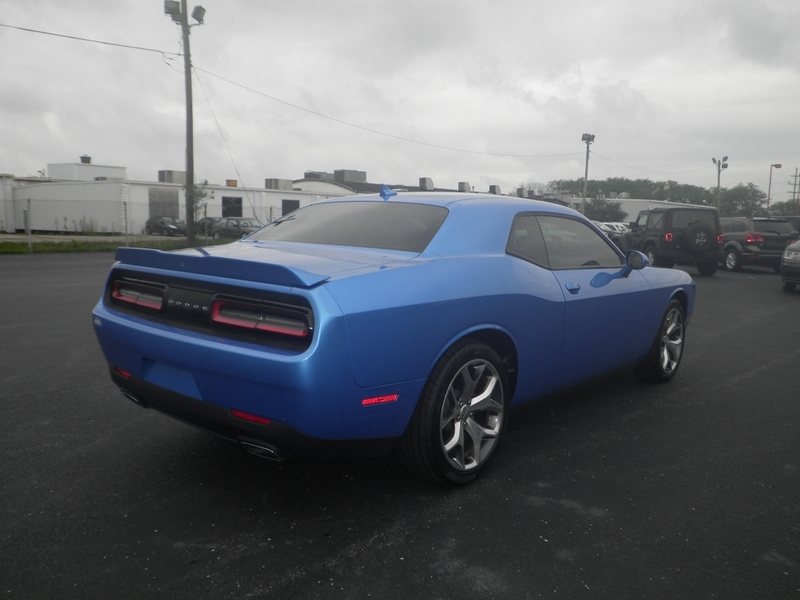 Like this 2016 Dodge Challenger that we have at our dealership right now waiting for you to stop by and check out. You will discover many fantastic features and options from the moment you lay your eyes on this beauty, from the Exterior to the Interior you will see many things that you will love and enjoy while driving this beautiful car. On a beautiful day, you will appreciate having a Sunroof which you can enjoy; there are also Heated Leather Seats should you need the extra warmth on a chilly morning. Do you like being able to chat on your phone without having to hold it? Well, Bluetooth gives you that freedom of hands-free talking and putting safety first. Your Steering Wheel Controls are also a safe and convenient way to have access to your car AM/FM Stereo and Satellite Radio, as well as Cruise Control, and Electronic Messaging Assistance. This Dodge Challenger has so many options and features that you will want to get by here soon and take a look at it before its gone. If this is the kind of car you have been dreaming of owning, then stop by for some fantastic indiana car sales, here at Acra Auto. Dont waste any time searching at other indiana used car dealerships, when you can make one stop for all your car shopping needs and that is right here at Acra Auto. We have everything from cheap to luxury vehicles waiting for you to discover. Our sales team is standing by so if you need their assistance they are here for you should you have questions. 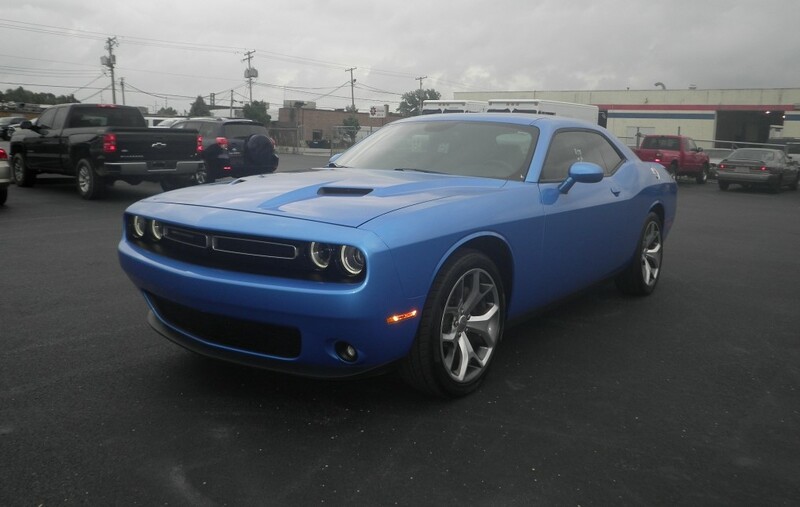 Stop by today, so you can find the dream car you have always wanted like the Dodge Challenger. We look forward to your visit here at Acra Auto. See you soon!